For those of you that asked for a ‘masculine’ collection, I have back in all my Stores a great big work called ‘HEY MISTER’. 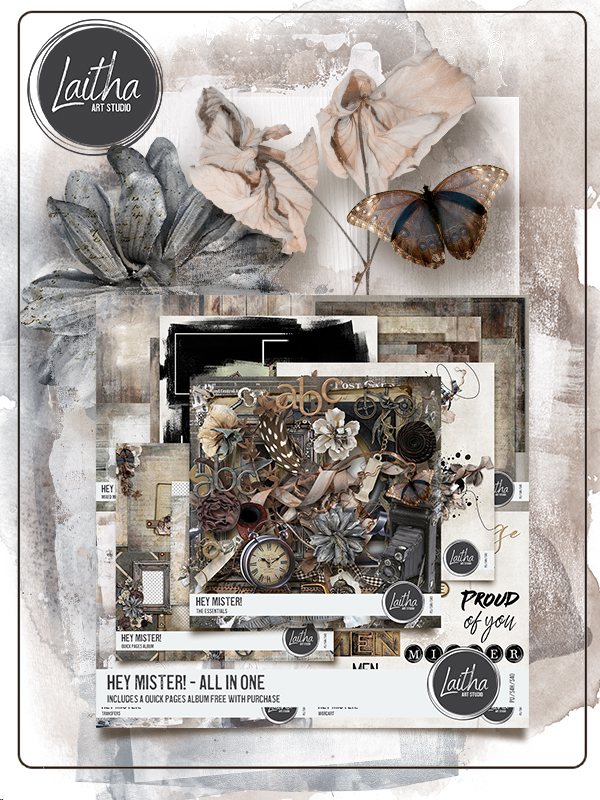 As usual you’ll find in stores some separated packs, The Essentials and The Complements Bundle and the whole collection with a gift in a BIG AIO Bundle. At Sugarhillco you’ll find six new CU/PU packs great for designers and scrappers alike at 25% off for a limited time.